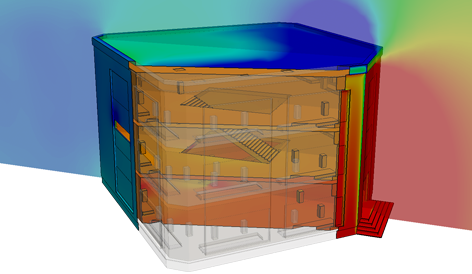 A CFD simulation tool can help engineers and designers to predict and optimize the performance of HVAC systems and buildings in the early stage of the design process. Even though simulation is already widely used in mechanical engineering, the adoption in architecture and civil engineering has been quite low—until now—due to the lack of know-how and affordable tools. No prior knowledge or software is required to join this free workshop. All participants will get free access to SimScale with all the required simulation features. Are these tutorials going to be available later on offline ?